In tendinopathic tissue the collagen formation becomes deranged through sedentary lifestyle, excessive activity, and poor neuromuscular alignment and coupling. Couppe´, Kongsgaard, et. al, looked at effects of habitual loading in elite badminton and fencers athletes and found that the tendon will undergo hypertrophy and increased stiffness with excessive loading (3). Another study found that immobilization led to decreased mechanical properties of the tendon, while exercise increased mechanical properties (4). If there is movement impairment centralized within the foot and ankle region, such as rearfoot eversion or tibial external rotation it can lead to various symptomatic responses, including plantar fasciitis, medial tibial stress syndrome and Achilles tendinopathy (5). Excessive loading and sedentary lifestyle may lead to tendinopathy of the Achilles tendon, so there is a sweet spot – not too much and not too little. A systematic review in 2012 found that removing athletes from competition is not beneficial for treatment of tendinopathy (6). Eccentric exercise has been recommended in the treatment of tendinopathy for more than 30 years. Evidence supporting the use of eccentric exercise in treatment of tendinopathy is well-documented and strong. A systematic review published in 2012 found eccentric loading to be beneficial for treatment of Achilles tendinopathy (7). Murtaugh and Ihm demonstrated that eccentric exercises can be effective in the treatment of tendinopathies at various locations of the body (8). The authors also found that performing sets of 15 repetitions of each exercise 1-2 times daily has the greatest benefit. Correction common movement dysfunctions, such as knee adduction, tibial external rotation, and foot external rotation can go a long way in preventing Achilles tendinopathy. Clark and Lucett demonstrated that corrective lower extremity muscular imbalance training and enhancing neuromuscular coupling can reduce lower extremity injury (9). 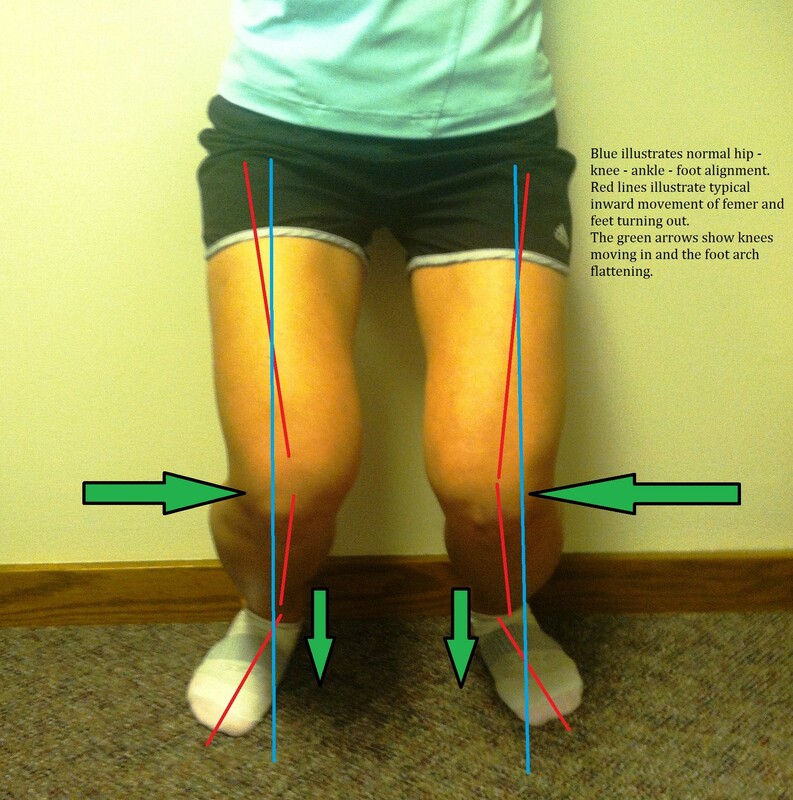 Inhibiting overactivity of the peroneals, lateral gastrocnemius and biceps femoris, while simultaneously reversing hypotonicity of the medial gastrocnemius, anterior / posterior tibialis, and medial hamstrings can correct foot and ankle malalignment. Correcting these dysfunctional movement patterns can improve Achilles tendinopathy. Therapeutic exercise has traditionally been used to restore range of motion, increase strength and enhance functional movement. However, it is becoming more apparent that exercise stimulates tissue regeneration. Following the principles of mechanotransduction, the passage of forces generated through movement from cells to cell nuclei plays an important role in tissue repair. 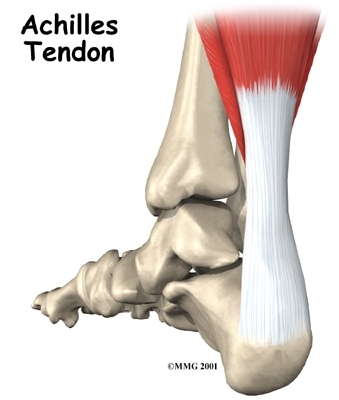 Clinical research is advancing understanding of how to best load tendon to facilitate repair. However, the differentiation of stem or progenitor cells and increases in fibroblast is needed to maintain homeostasis and for repair of tendons, cartilage, bone and ligaments. Appropriate load can stimulate progenitor cells and regeneration collagen tissue in the Achilles tendon as well as other tendons. The issue of tendon and tendinopathy provides unique perspective to this discussion of therapeutic exercise and mechanobiology. The original rehabilitation protocols developed when tendinopathy was viewed as tendinitis – long before mechanobiology emerged – are no longer relevant. Obviously there is not a one-size-fits-all protocol. Clinical judgment and observation lead to the development of exercise programs that induce a mechanical signal at the cellular level. Patient response will determine how much is too much and how little is too little. Clinical research demonstrated, however, that eccentric exercise programs can be quite effective. Our traditional views of therapeutic exercise and the treatment of Achilles Tendinopathy must be reconsidered. Exercise is a modality of repair and well as a means of restoring function. Exercise that does not exacerbate pain and other symptoms of inflammation may lead to more rapid tissue repair which can lead to earlier recovery. The deleterious effects of rest and immobilization on tissue health must be balanced against benefits of pain relief and comfort. However, when these guidelines are observed, loading through exercise likely provides the stimulus for repair and recovery in the most efficient manner possible. Tissue loading facilitates repair much better than ice and other bioelectrical modalities. Abrahams Y, Laguette MJ, Prince S, and Collins M. Polymorphisms within the COL5A1 3′-UTR That Alters mRNA Structure and the MIR608 Gene are Associated with Achilles Tendinopathy. Ann Hum Genet. (Epub – ahead of print) Jan 2013. C. Couppe´, M. Kongsgaard, P. Aagaard, P. Hansen, J. Bojsen-Moller, M. Kjaer, and S. P. Magnusson. Habitual loading results in tendon hypertrophy and increased stiffness of the human patellar tendon. J Appl Physiol. 105: 805–810, 2008.
good stuff that i am working to correct daily. Hey, thanks for the article. As a massage therapist, it was really informative and helpful. I couldnt agree more with this statement. I had a spiral fracture in my arm 5 months ago today actually and used the approach of exercise opposed to conventional therapy methods and I was back to full on working out in 3 months. Yesterday unfortunately I tore my Achilles, but I still plan on using the same methods I did for when I broke my arm to aid in recovery! Great information, thank you for sharing. Great material for people suffering from foot pain. What I know is stretching, resting and putting ice on the part could help relieve the pain. Hi Josh. I am currently battling an Achilles inflammation … towards the back of my left heel. I am a trail runner, and currently on a training program for The Otter Trail, a tough coastal race in mid-September (just under 4 months away). 12 months ago, I had a Biokineticist have a look at the problem. Some calf (activation) massage and exercise did the trick & I have run for a year with no problem. The latest strain came about through some new interval training, which I have done for the first time (Jan-Mar) as a way to train for speed. Weak glutes & hamstrings definitely an issue. I have iced & used an anti-inflammatory this last week (contrary to your own advice, but in line with the establishment!) … my question is a simple one. What exercises do you recommend (The authors also found that performing sets of 15 repetitions of each exercise 1-2 times daily has the greatest benefit. … ie: which exercises?). As an aside, I am 49 years old, trail running about 35km/week. Without truly knowing what your injury is, I couldn’t provide recommended exercises. I can say that for Achilles tendonitis and tendinopathy that eccentric calf strengthening (heel raises) is what the literature suggests and is what most orthopedists would recommend. However, I am not sure if that would be the guide for you. Thanks for the comment, Pam. Your story sounds all to familiar. I am not positive what type of rehab you’d need without knowing the specifics. While eccentric exercise works in most tendinopathy cases, i couldn’t say for certain that is best for you. However, I’m sure you can get some good tips of you Google eccentric calf strengthening. If you want further guidance you can always content using my Train with Josh page.